Posted by Dave Emory ⋅ May 1, 2012Post a comment Email This Post Print This Post Tweet This! In South Africa, the expression of Nazi sympathies by the director of that country’s reserve bank has led to calls for his resignation. At the time of this posting, his political fate was still in the balance. It should not come as a surprise to a knowledgeable observer. 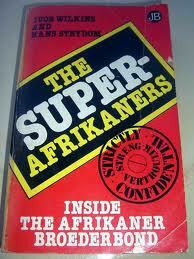 The power structure in that country’s Apartheid era was a fascist organization named the Broederbond (“Brotherhood”). Allied with, and modeled after, the German Nazi party under Hitler, the Broederbond appears to have gone underground and perpetuated itself as one of the most efficient and ruthless elements of the Bormann capital network and Underground Reich. “South African Jews Call for Firing of Pro-Nazi Banker” by Rina Bassist; Jerusalem Post; 4/24/2012. EXCERPT: . . . . In interviews and articles last week [South African Reserve Bank director] Stephen Goodson expressed his admiration for the Nazi regime, and claimed that the Holocaust was a “huge lie.” . . .
. . . . The South African Mail and Guardian revealed last week that Goodson has written articles depicting an “historical analysis of banking history,” according to which Jewish bankers invented the Holocaust just to extract money from Germany. In an interview with an extreme-right American radio station two years ago, Goodson refers also to “ritual murder” executed, so he claimed, by Jews in the early centuries. . . .
Well, Dave, given the information presented in this article, one question has always been stuck in my mind; how many Nazi war criminals may have landed in S.A. & just how influential did they become?